U.S. coach John McBride uses terms like “compact aerodynamics,” “amazing touch” and “raw speed” when describing Travis Ganong’s talents as an alpine ski racer. Indeed, the 29-year-old Tahoe native has come a long way since joining the U.S. Ski Team’s Development Team at age 15. He’s sharpened his skills through top-notch coaching and training, gained priceless experience over the course of seven World Cup seasons, and benefitted from the surge in confidence that comes with success at the highest level of the sport. But take away all of that, and McBride’s descriptors would still apply. 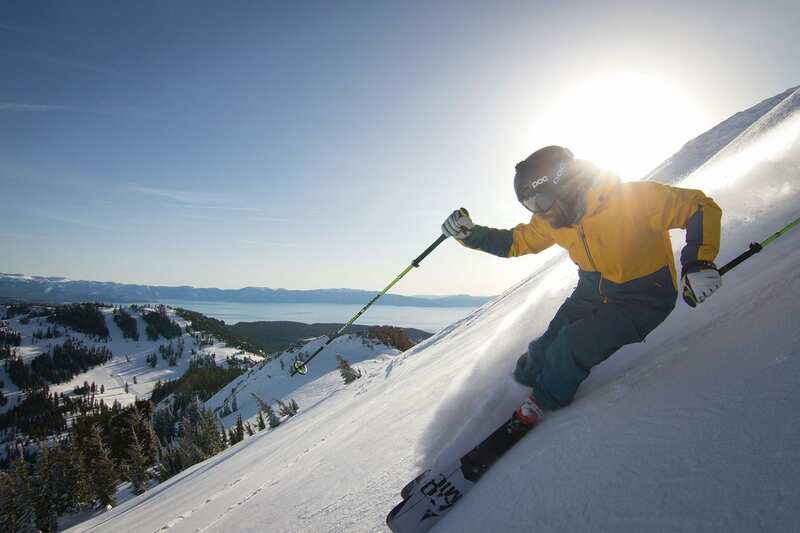 Credit Ganong’s bloodline and the Tahoe terrain he was raised on—specifically, Squaw Valley. “I didn’t grow up training that much for racing,” says Ganong, a fifth-place finisher in the downhill at his first Winter Olympics in 2014. “We had a rule where if it snowed more than three inches, we wouldn’t even attempt to set a course. We’d go out and ski. Skiing—and skiing well—also runs in the family. It started with Ganong’s grandfather, who built a pair of skis in his high school wood shop class in Southern California and hiked for turns on Mount Baldy. Ganong’s parents met on the UC Santa Barbara ski team, and his older sisters traveled the globe as ski racers. Ganong and his twin brother Derek (who’s now a musician) had no choice but to tag along. It was during these formative years that Ganong developed a lifelong love for the sport, and through that love that he grew to become one of the fastest skiers on earth. Ganong grew up near the base of Alpine Meadows but skied at Squaw Valley, where his father worked at the slope-side office of the Truckee Tahoe Medical Group. 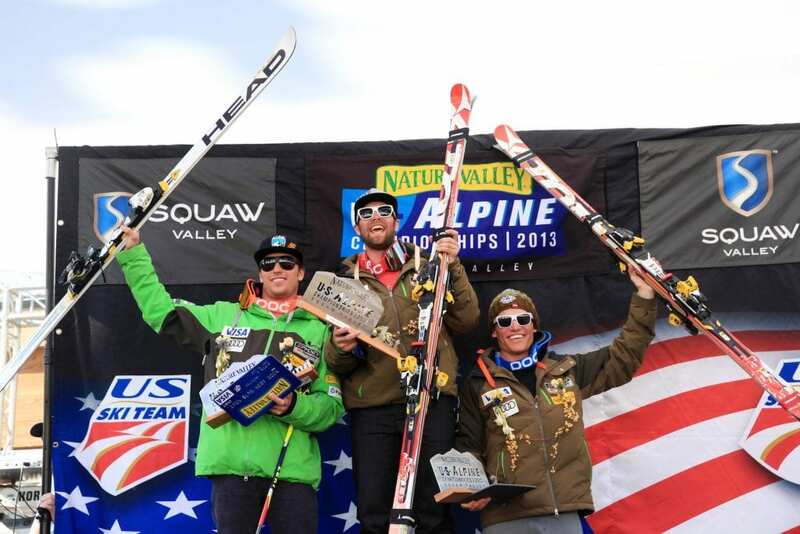 Rising U.S. ski racers from Tahoe like Daron Rahlves and Marco Sullivan served as idols to the young Ganong, while coaches like Greg Jones, a 1976 Olympic medalist, took him under his wing and imparted valuable knowledge. Squaw’s freeskiing stars had equal tug on Ganong, who fondly remembers the first time he skied the Fingers. He was 10, maybe 11, when he gathered the courage to charge at the aptly named cliff band on the steeps of KT-22. After successfully navigating the bony outcroppings, Ganong was greeted at the bottom by a couple of big-name pros: Shane McConkey and Scott Gaffney. Instead, he continued to pursue both skiing disciplines. 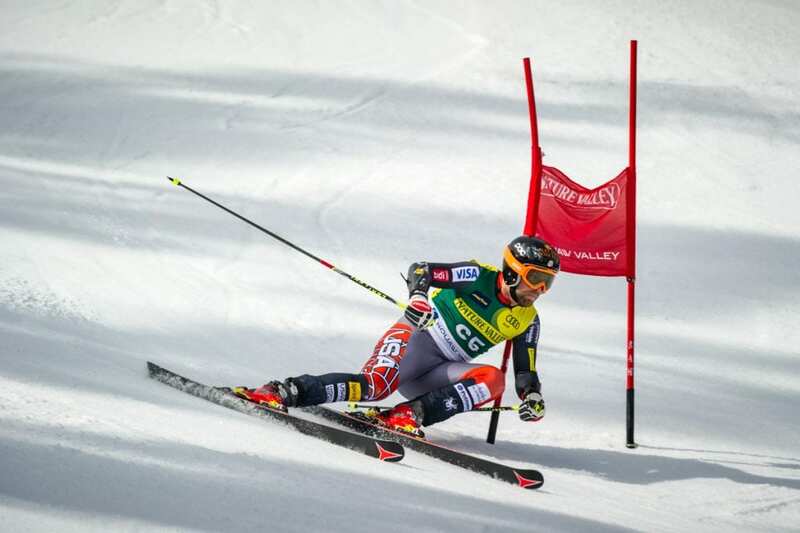 When not chasing powder, Ganong excelled in the local Far West racing division and was a three-time member of the Junior Worlds Team. The U.S. Ski Team took notice, and Ganong was nominated to its Development Team before he was old enough to drive. 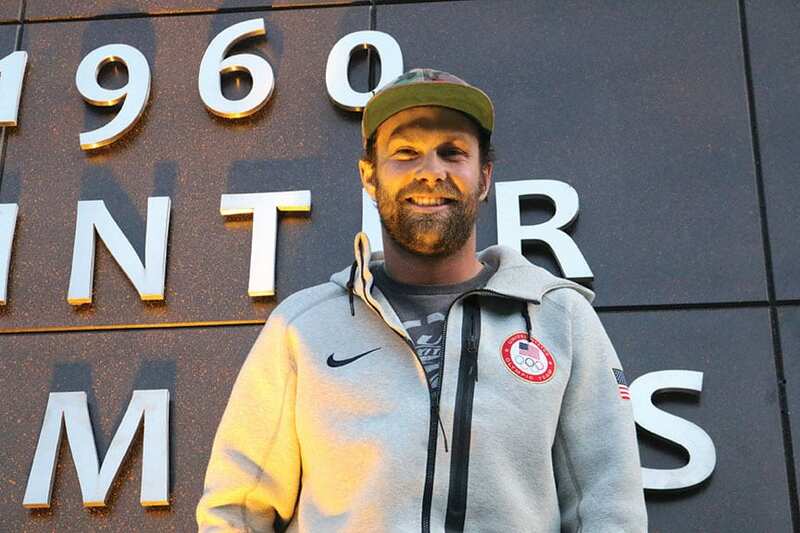 Although Ganong credits his freeskiing foundation for his racing prowess, he reached a point in his career where his natural ability wasn’t enough. He dominated at the youth level on sheer skill. But after graduating high school and moving on to the international level, his Tahoe lifestyle caught up with him. His longtime girlfriend helped open his eyes to change. Ganong and Canadian national alpine racer Marie-Michèle Gagnon met more than a dozen years ago at a small ski race in Canada, where they shared a laugh about the similarity of their last names. Unlike the ski racing kids from Squaw, Gagnon, who hails from Quebec, followed a regimented in-gym training program. With a solid training base anchoring his natural talent, the results followed. Ganong finished second in the NorAm downhill standings in 2010 and launched his World Cup career the next season. As he gained experience, he began taming some of the world’s toughest downhill courses—placing 12th in the famed Kitzbühel (Austria) downhill in 2012 and seventh in Bormio, Italy, early the next season. But his breakout season was 2014. After making his first Olympic team, Ganong led the U.S. men speed skiers—including heavy favorite Bode Miller—with a fifth-place downhill finish at the Sochi Winter Games. Just a week after the Olympics, he backed up the performance with his first World Cup podium in Kvitfjell, Norway. He earned his first victory in Santa Caterina, Italy, in December 2014, and last year became the first American male ever to win Germany’s Garmisch downhill. At age 29, Ganong knows he’s entering the prime years of his racing career. Ganong is also aware of the heightened pressure that an Olympic season brings. Every four years, the media attention around his sport increases, training sessions become more intense and there’s a palpable sense of urgency to perform. Particularly in the United States, Olympic medals define careers. Ganong was pleased with his results in his first Olympics. But the fact that he was less than a half-second from the bronze medal left him hungry for another shot. And with the margins among the men’s downhill field narrower than ever, Ganong hopes that the work he put into improving his starts this past summer will give him an edge. The margins may be even tighter in South Korea this February. Ganong describes the downhill track as shorter, flatter and less extreme than a challenging World Cup venue such as Kitzbühel, which is known for its hair-raising steeps, hard-banking turns and leg-testing compressions. While Ganong has his sights set on the 2018 Olympics—and the 2022 Beijing Winter Games after that—he’s already looking ahead to his future after ski racing. 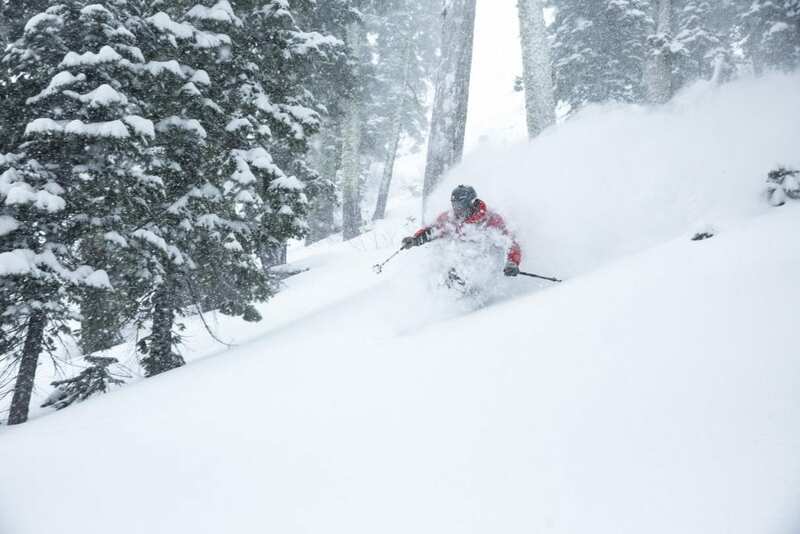 He’s slowly chipping away at a degree in ski business and resort management from Sierra Nevada College, which he hopes to parlay into a post-racing career at a Tahoe resort. He’d also like to get into filming. He’s filmed a bit with Warren Miller Entertainment and Sweetgrass Productions when not racing, tapping into his freeskiing roots on the big mountains of Alaska and Argentina. Cody Townsend, who grew up racing at Squaw Valley before becoming an accomplished freeskier, thinks Ganong’s talents would transfer well to filming. To illustrate his point, Townsend tells a story of the time he watched Ganong ski Eagle’s Nest at Squaw—the steep, rocky fin that looms over KT-22, also known as McConkey’s. While most who are brave enough to ski it slowly work their way down the sixty-plus-degree face, Townsend says Ganong attacked it like there was a racecourse set on its rocky pitch. Although Ganong still feels the pull of the freeskiing world, he knows there’s time to tackle big-mountain terrain later. 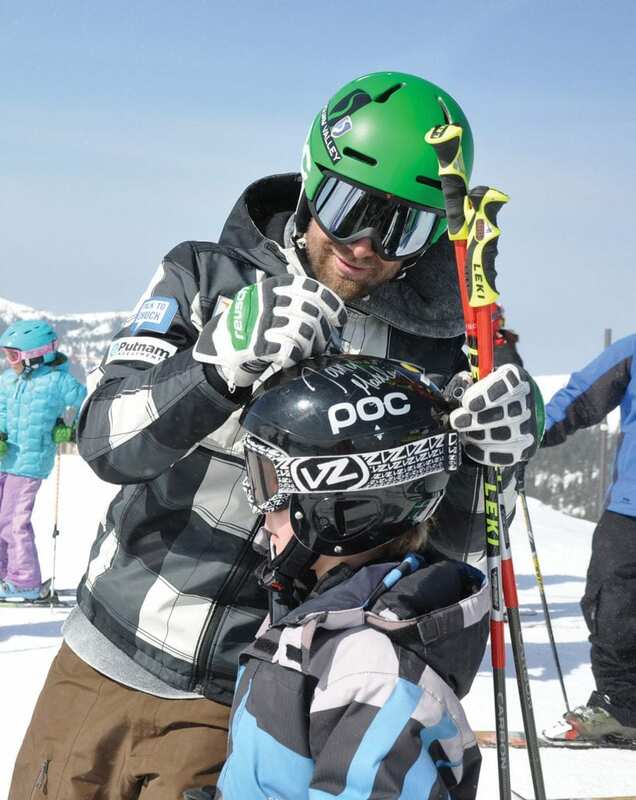 He’s a ski racer for now, and he can think of no better career choice. Ganong shares the words of wisdom from one of his childhood idols, Marco Sullivan, who put in perspective life as a World Cup ski racer after he retired in 2016. Plus, Ganong adds, it’s great fun. Come February, Ganong hopes to blaze across the finish line in South Korea to the sights and sounds of cheering fans waving American flags, his winning time flashing across the large screen. He has as good a chance as anyone. Tahoe Quarterly editor Sylas Wright has followed Travis Ganong’s racing career since his high school days.